Imagine this: You’re at a Superbowl party and the doorbell rings. The host opens the door and there’s a delivery guy with piping hot pizzas in hand. When the host sets the boxes on the counter, you see my smiling, goofy mug. Now you’re wondering, “Why the heck is that guy on the box?” And when the host says, “That’s actually my Realtor!” the conversation is now about me and the amazing service I provided the new homeowners. Well that sounds clever, but sending pizzas all over town has to be expensive, right? Wrong. Every time someone orders a pizza with one of my coupons, I want you to put a special sticker on it. This was the sticker you see in the video so who ever orders the pizza absolutely knew it came from me. Mr G. agreed. So upon every closing, I bought a pizza, Mr. G gave me a pizza, and the customer got coupons which encourage them to buy more pizza. It was a win-win – for me and Mr. G! I gave back to Mr. G’s and now I want to give back to you. 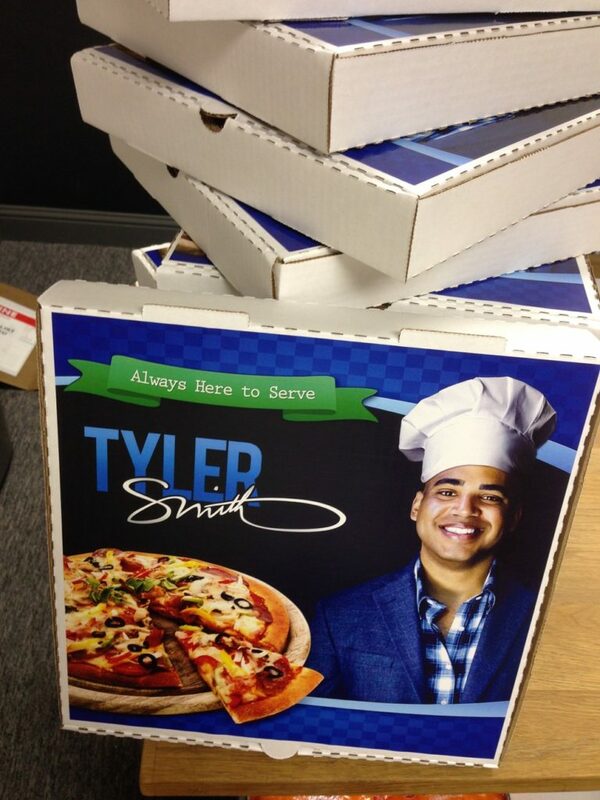 Download your own pizza box template below, send them to the printers, and start earning referrals! It has to be a local place. Don’t think that Domino’s is gonna go for this. Sorry. You have to love the pizza. This should go without saying but why would you wanna be associated with bad pizza?! Let me know how it goes! Send me a pic of your customized template–I want to see! Tweet your box to @tycloud. Plus, use these coupons to offer even more!